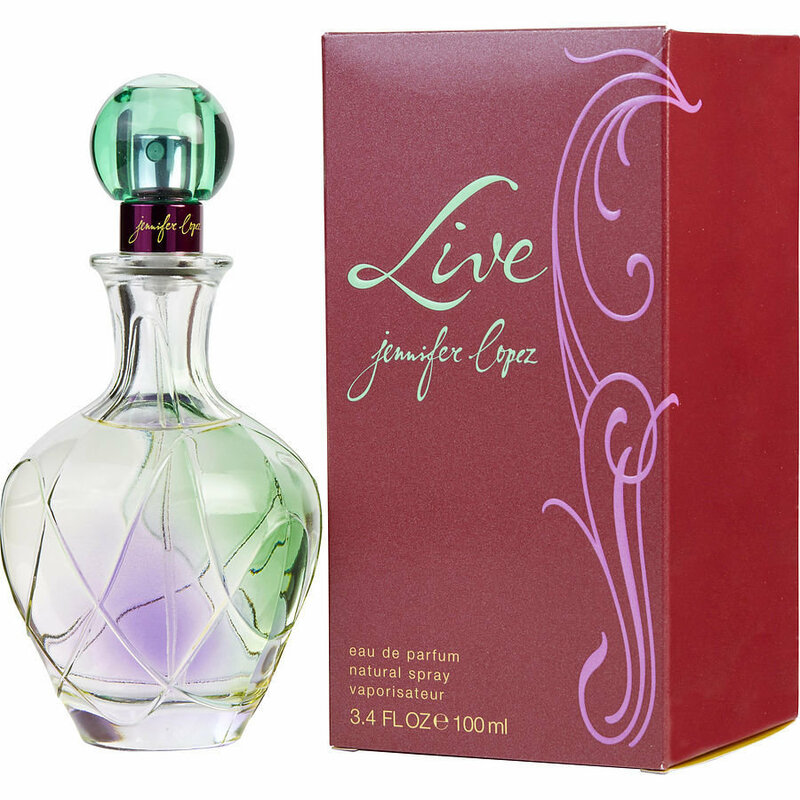 Live Perfume by Jennifer Lopez, Live by jennifer lopez is the forth of jlo scents . Introduced in 2005, live is a beautiful blend of orange, lemon, pineapple,peony, violet, caramel,vanilla, tonka beans and sandalwood. All products are original, authentic name brands. We do not sell knockoffs or imitations. Jennifer Lopez brings you an exciting new fragrance called Live for Women. This fragrance is elation, euphoria and rhythm in a bottle. This is a gorgeous representation of Jennifer’s parole ‘living to be dancing.’ The fragrance was created by the skilled and famous perfumer Dominique Ropion in the year 2005. It appears in a colorful little flacon that has intricate designs and is made of glass. It has transparent green colored stopper and is available in a quantity of 100ml in the Eau de Parfum concentration. The top notes of the fragrance are a fresh and uplifting mix of Sicilian lemon, bracing bergamot and juicy and succulent pineapple. The heart of the fragrance is composed of fresh peony, fruity red currant blossoms and violet. The base is a warm and sweet composition of oriental sandalwood, Tonka bean and sensual and rich, creamy buttery lactonic caramel.